Adjustment Wrench Kit: Includes one 2mm (top) and one 1.5mm Allen keys (bottom). 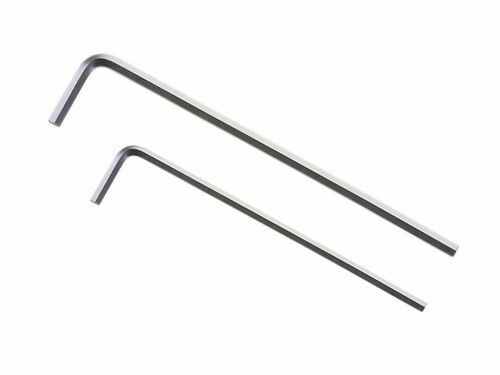 Use these wrenches for adjusting your FCH guitar or bass bridges. 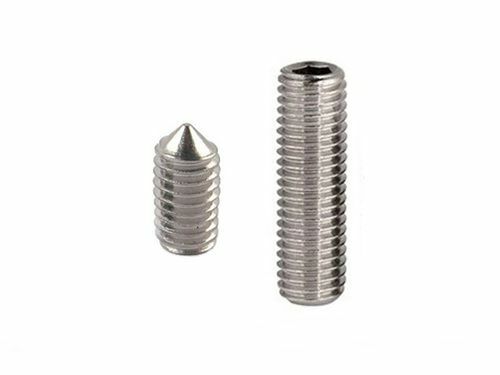 $1.59 with free shipping in the U.S.
FCH Guitar Saddle Housing Screw Kit: Includes six M3x5mm cone point screws (left) for locking your string height, and six M3x8mm oval point screws (right) for adjusting your string action height. 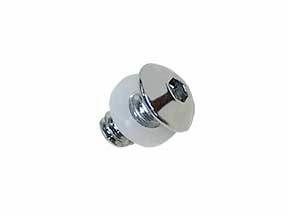 $4.00 with free shipping in the U.S.
FCH Bass Saddle Housing Lock Screw and Plastic Washer Kit: Includes six 6-32 x 1/4" button head screws with plastic washers. Fits: FCH-4, FCH-5, FCH-3 Original Series bass bridges. FCH Guitar Saddle Housing Lock Screw and Plastic Washer Kit: Includes six M3 x 5mm button head screws with plastic washers. Fits: FCH Original Series Tele and BFG Tele Humbucker bridges. 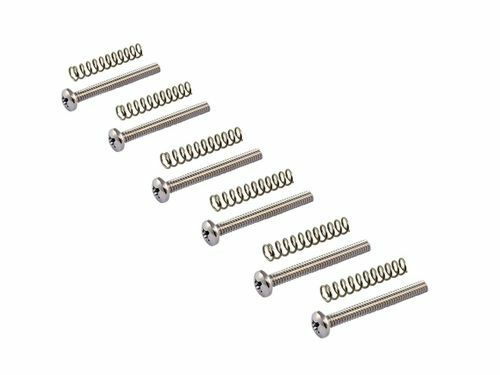 FCH Bass Saddle Housing Screw Kit: Includes five 8-32 x 5/16" cone point screws (left) for locking your string height, and five 8-32 x 13/32" oval point screws (right) for adjusting your string action height. FCH Guitar Intonation Adjustment Screw and Spring Kit: Includes six intonation screws and six springs. 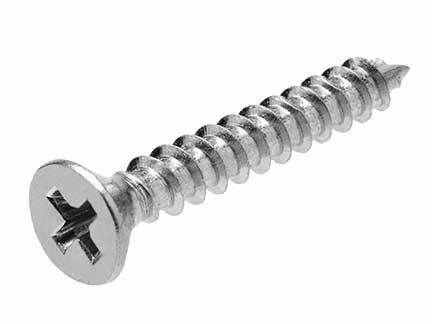 Free shipping in the continental U.S.A.
FCH Mounting Screw Kit: Includes five #8 x 1" flat head wood screws. Fits: Original and Z-Series FCH-4, FCH-4 AM, FCH-5, FCH-1 bass bridges. All FCH Tele and Fixed 6 hardtail bridges. $5.00 with Free shipping in the U.S.